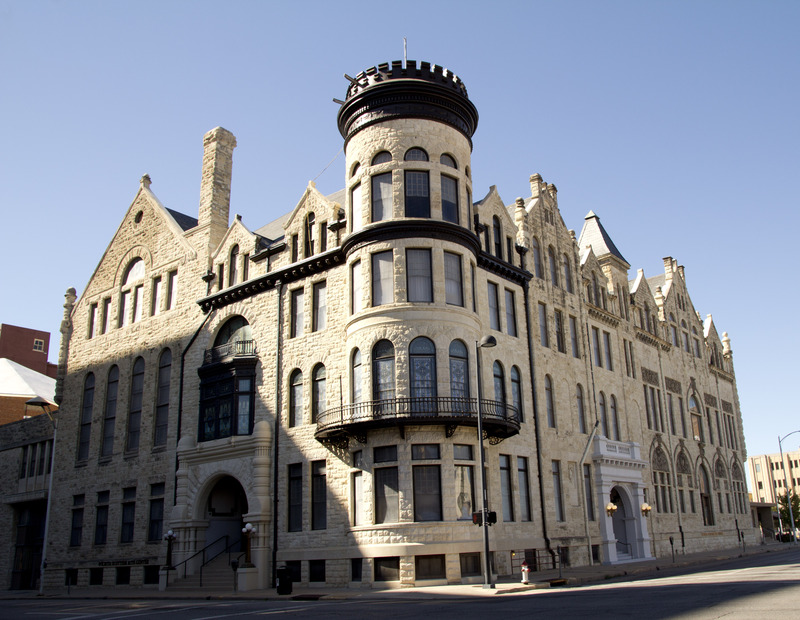 Our home is Venue 332 at the beautiful and historic Wichita Scottish Rite Center, located in downtown Wichita. The Wichita Scottish Rite Center has been a part of Wichita history for more than 120 years and offers us a unique and exciting opportunity to immerse ourselves in an atmosphere sure to add spice to our gaming experience. To learn more about the venue, feel free to visit their website at wichitascottishrite.org. As a major sponsor of this year’s event, Venue 332 has arranged for TsunamiCon to have access to a wide assortment of facilities throughout the building. Free parking adjacent to the venue will be available for attendees, and overflow parking will available at several downtown locations. Concessions will also be available on site throughout the weekend. The kitchens will be working overtime to produce appropriately-selected gamer fuel, and there will be a cash bar available on Friday and Saturday evenings. If you are in need of hotel accommodations, we also have a housing block available at the nearby Ambassador Hotel. The convention is held in the following rooms, as indicated on the map. The main entrance for the event is on the north side of the building. The Great Hall: The primary gaming room. This grandiose ballroom hosts The Game Library, most of our scheduled gaming activities, our Kids Zone, and open gaming for attendees looking to grab a table and attract some players. It also contains the concession area and bar is immediately adjacent to the Marketplace. The Marketplace: The primary dealer hall. Vendors, exhibitors, merchants and artists peddle their wares to convention attendees throughout the event. The Marketplace is open during select hours on all three days. The Lobby: This lavishly-appointed antechamber on the south side of the building may be used for informal gatherings, social gaming and activities, and overflow for gaming events. The Auditorium: This spacious theater serves as the focal point for our entertainment program, geek karaoke, any panels, party games, and more. With plenty of additional space on the auditorium floor, it may also be used for overflow gaming. The Guild Hall: This spacious chamber will host this year’s exclusive Escape Room experience. The Captains Quarter: This private lounge on the upper level hosts the Artemis Spaceship Bridge Simulator. The Crystal Room: This beautiful chamber located at the top of the grand staircase hosts our Reaper Paint ‘N Take event. The Egyptian Room: This room is primarily used for scheduled tabletop RPGs. The Media Lounge: This comfortable alcove overlooking the south face of the building serves as our primary hub of activity for media-related activities, including live podcasts and video feeds. The VIG Lounge: Located downstairs, this room provides an exclusive getaway for our VIG members, including comfortable seating, snacks and beverages, and additional tables for private games.